Autumn has set in so winter must be on its way. Graham King looks at four pocket-sized 4-wheel-drives you can buy on a budget. It’s only the middle of October and the dire predictions are coming in already, with some weather forecasters suggesting we should expect the worst winter in 100 years. Apparently, the first snow will fall as early as the beginning of November. With those words ringing in your ears, it might be tempting to invest in a cheap four-wheel-drive that can drag itself through the snow and slush that clogs up the UK’s road network. But you don’t want to go to the expense of running a Discovery or a Cherokee, and even a Honda CR-V or Toyota RAV4 are a bit too big. But don’t worry, there are alternatives. 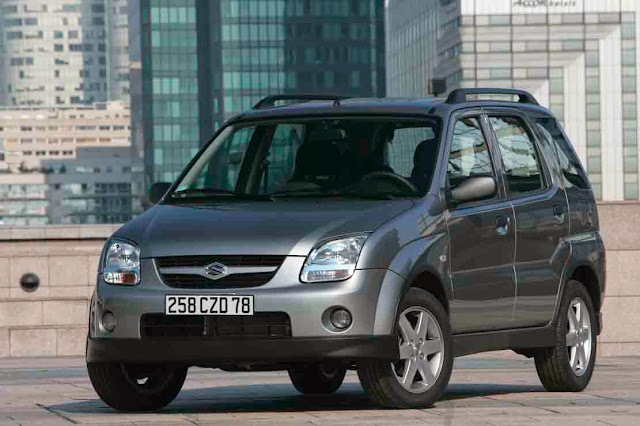 And I’m not talking about the Fiat Panda 4x4, as that holds onto its value and can get quite expensive. So, here are four beer money 4x4’s from left-field that should keep you moving come what may. YRV stands for ‘Young Recreational Vehicle’. If that doesn’t send a shudder down your spine, there’s something wrong with you. Quite frankly, the rest of the car is equally shuddering. Looking like a tallboy perched on a skateboard, it is at least very spacious, despite being barely five-and-a-half feet wide. Unfortunately, it also drives like a tallboy perched on a skateboard. The light steering tells you very little, the body lollops about, the ride is harsh and the seats are too small and thinly-padded. The 4x4 gubbins sap some of what little power the Toyota-sourced engine produces, but it is at least decently economical. The YRV 4trak is a car you definitely have to make sacrifices for. Why am I suggesting it? Because it’s cheap. Of the three listed on AutoTrader, two are under £1,000. Even this 03-plate example with 65k miles is only £1,595. Advertised as the ‘Joy Machine’, the HR-V turned out to be a sort of proto-Juke, a mini-SUV more concerned about style than anything else. Unfortunately, the HR-V’s style is only skin-deep, the undeniably funky exterior giving way to a typically drab, late-Nineties interior. It does have a reasonably big boot, but the back seat is tiny. At least access was better with the later five-door version, though. It’s alright to drive, but don’t let the styling fool you into thinking it’s a hot hatch alternative. 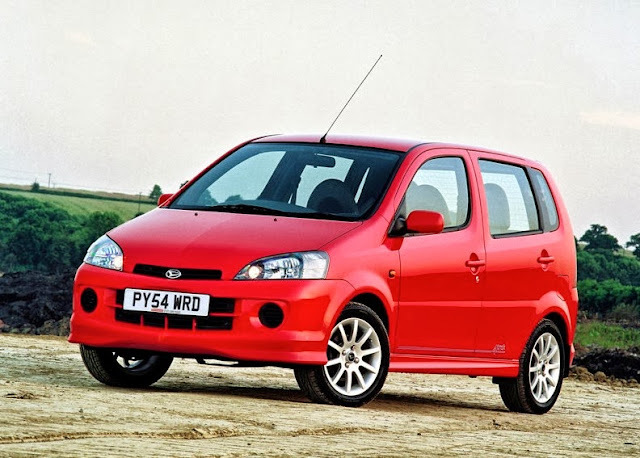 The 1.6-litre VTEC engine is the one to have, as it gives much keener performance than the 103bhp non-VTEC version. The four-wheel-drive is only part-time, but with winter tyres it should keep going when the road gets slippy. There’s a fair few HR-V’s out there - 31 are currently listed on eBay. Deciphering which is a VTEC is tricky, but as a general rule of thumb, the later an example it is, the more likely it is to be a VTEC. This black, 51-plate three-door with 102k miles looks good value at £1,500. The Scenic RX4 is essentially a second-generation Scenic with 4x4, jacked-up suspension, chunky body mouldings and a very complicated split tailgate. It’s also ugly and slow. But it’s still a Scenic, with all the cubby holes and acrobatic seats that made Renault’s mini-MPV a multi-million seller. As such, it’s really the only choice from this quartet for anyone with a family. It’s by no means perfect, though. The standard Scenic handled in a fairly loose sense of the word, so the RX4’s extra ride-height does it no favours in that department. The ride is harsher, too. 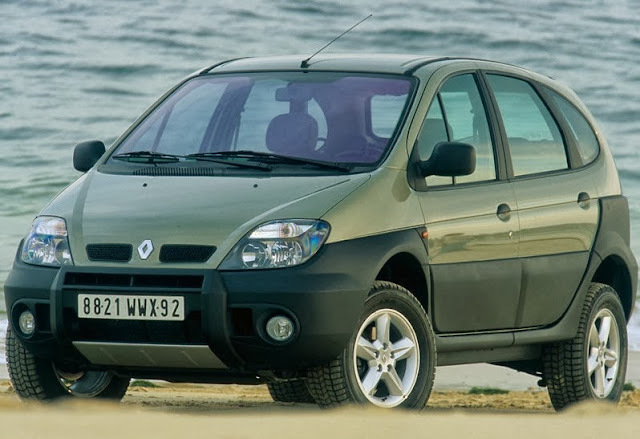 And let’s not forget Renault’s notoriously hit-and-miss build quality.Does its spectacular practicality make up for it? Depends on your priorities, I suppose. There’s a 2-litre petrol version of the RX4, but you have to live with sub-30mpg economy. The range is deeply confusing, so it’s best not to get too bogged down in equipment levels - all are fairly generous anyway. There’s a good selection on eBay at the moment - this top-spec 53-plate with 75k miles is huge value at £2,000. The Ignis is hardly a mainstream supermini choice, but the post-2003 five-door is a very practical car - it has huge amounts of space in the boot and the back seats. It doesn’t look too bad either, and the top-of-the-range GLX trim comes with plenty of equipment. It’s something of a mixed bag to drive, though. The electric power steering is a bit inconsistent, being nicely light around town, but it becomes less pleasant at speed. Equally body roll is well contained and the 4Grip has predictably fantastic traction, but the ride is choppy. And the 4Grip’s 4x4 hardware saps some of the otherwise keen, variable valve timing-equipped engine’s energy. The Ignis 4Grip is a genuinely useful little car. It may not offer the sharpest of driving experiences, but its huge practicality more than makes up for it. eBay turned up 18 for sale, most of those well under three grand. This 54-plate example with 71k miles in a nice shade of blue looks good value £2,495.